Last weekend we visited a small National Trust property in Northumberland – Cherryburn. We found this place to be perfectly sized for a half day explore of the farm and discovery of Thomas Berwick. 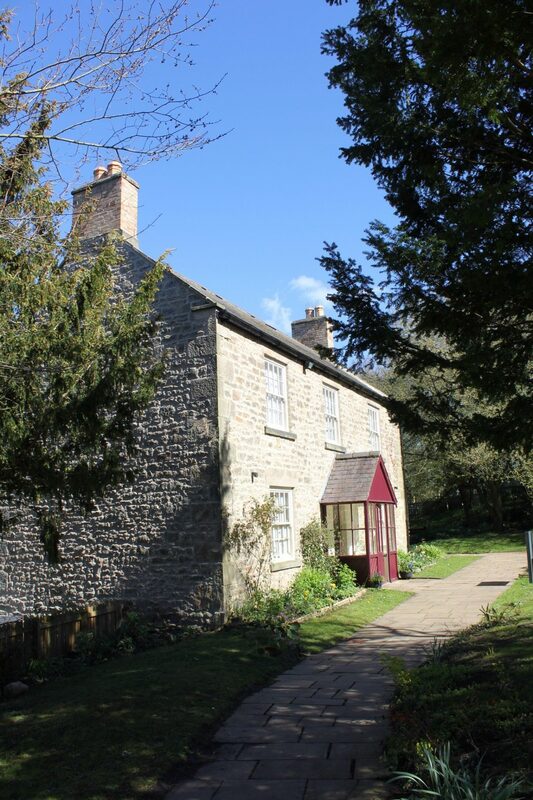 Cherryburn cottage and the farmhouse house a museum to show what life was back when Thomas Bewick was alive. 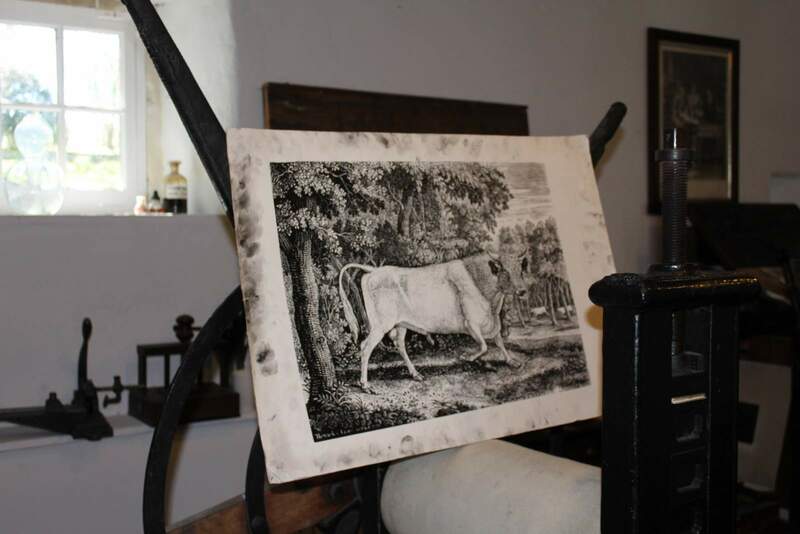 The cottage has been furnished with items which would have been common at the time and in the farmhouse there is a large collection of Bewick’s publications, original engravings and printing equipment. We loved the demonstration of engraving and printing. Two very enthusiastic, welcoming ladies showed us how they made the prints in the same method Bewick did. Outside there is a small number of live stock including donkeys, llamas and chickens. 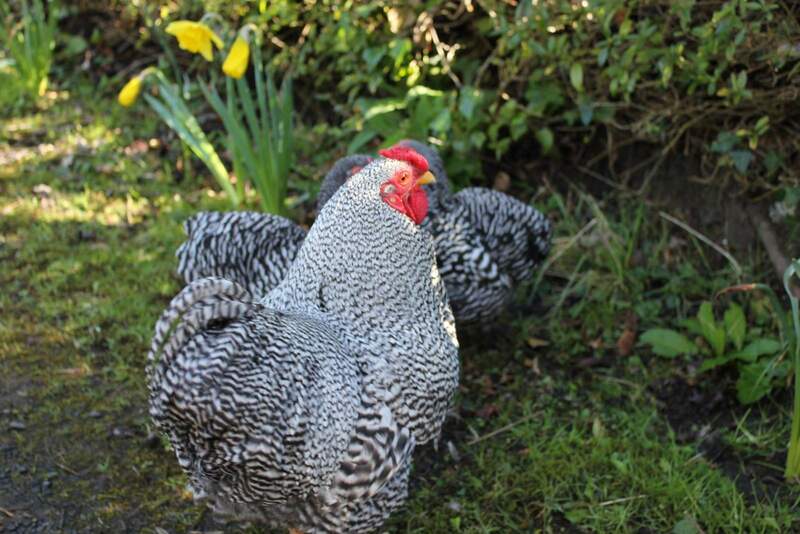 The chickens were apparently recent additions to Cherryburn, having been taken from Bede’s World, which sadly closed recently. We found a little nature hunt activity in the school room and set out looking for the birds, though we were much too noisy and didn’t spot any! Also outside is a little lawn with games available, and another area in the courtyard for picnics. Inside the farmhouse, there is a little cafe, but it was described to us (accurately, I feel) as “a coffee machine with a tuck shop”, so don’t visit expecting to be able to buy much of a lunch! In the summer time there are childrens’ clubs planned, which will allow children (of most ages) to learn various printing techniques from potato printing to more elaborate engraving. Cherryburn is also one place it is possible to get a sticker for any children undertaking the National Trust’s 50 things before 11 3/4 challenge. 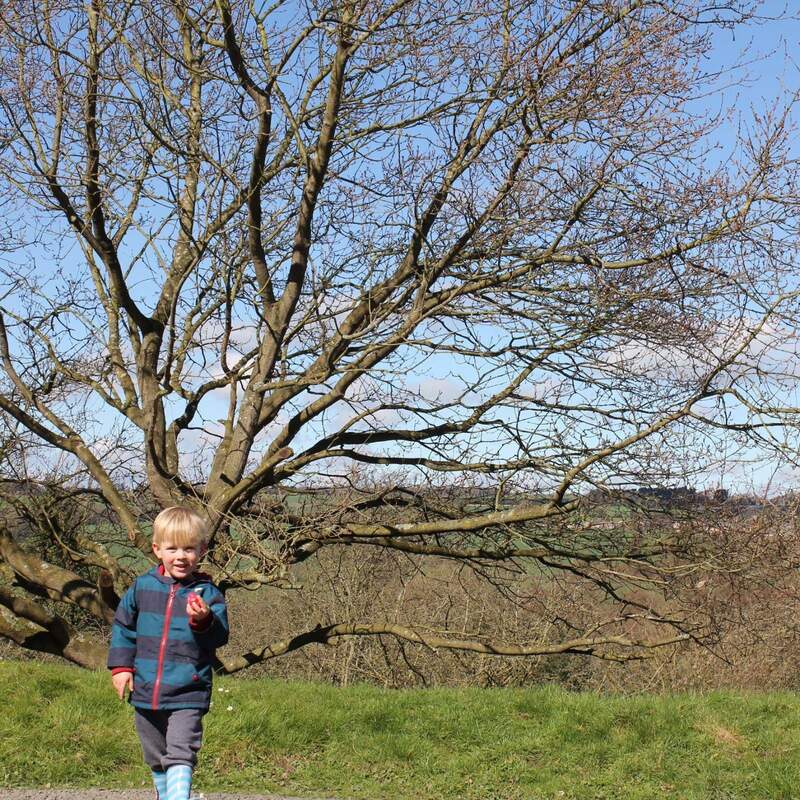 If you wanted to make more of a day of Cherryburn there are walks you can do in the countryside nearby, or you can head into Corbridge for Sunday lunch.